The distinctive cutaway drawings created by the late Czech architect Jan Kaplický are on show at the RIBA Bookshop, London. 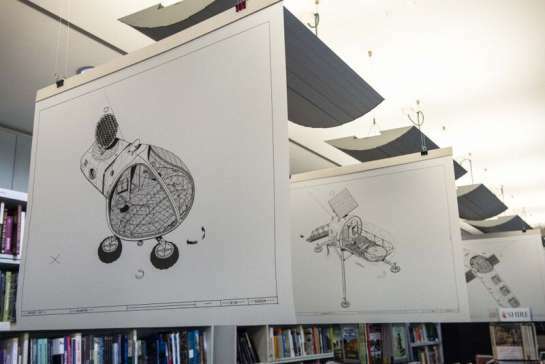 The exhibition comprises sixteen drawings of projects ranging from the House for a Helicopter Pilot (1978) to the Media Centre for Lord’s Cricket Ground (1994), winner of the 1999 Stirling Prize. These remarkable drawings are printed on drafting film and suspended on wires, creating an ethereal atmospheric effect. The book, Jan Kaplický Drawings, by Richard Rogers and Ivan Margolius, is on sale in the bookshop.